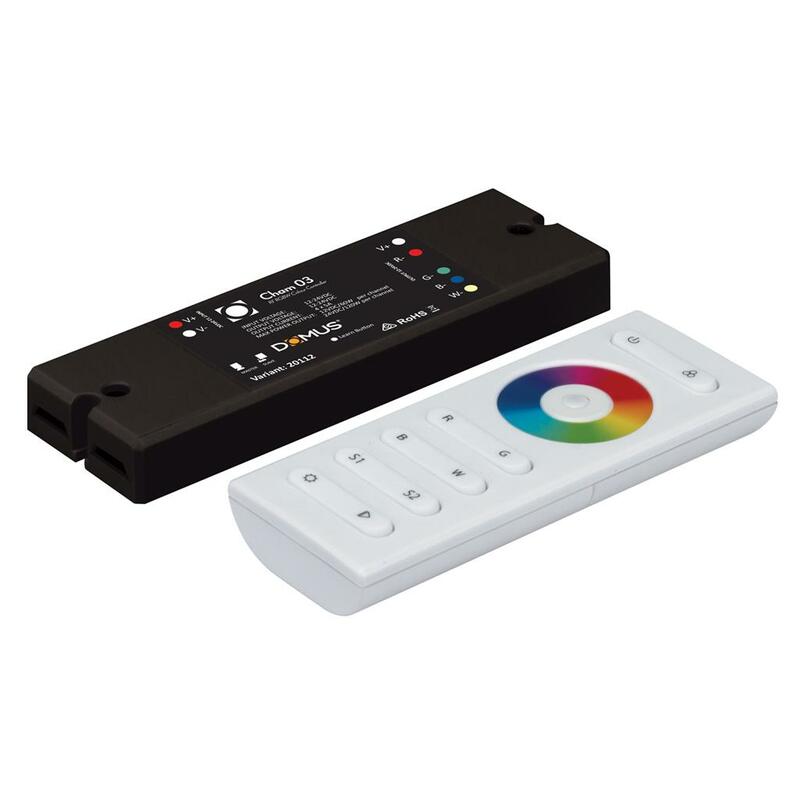 The CHAMELEON-03 is a standalone colour controller for use with 4 colour flexible LED strip lights or luminaries. Featuring a slim line hand held RF remote control with amazing, yet simple to use functions. The centre of the remote features a colour wheel in which a simple “Touch” with your finger allows you to adjust colours to suit your application. Functions like, CCT and RGB colour adjustments, fine tuning of colour, brightness and speed adjustments are all at your fingertips. 10 built-in colour modes are also included. For applications in which you may need multiple zones with individual control, the CHAMELEON-03 has a learn function which pairs the specific RF remote to the receiver avoiding cross communication between zones. A small yet powerful package. Let your imagination run wild.